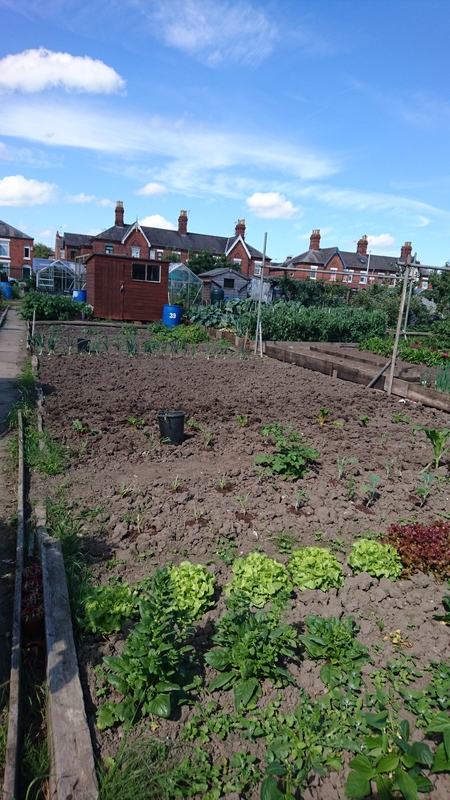 A massive day of works at the allotment today! 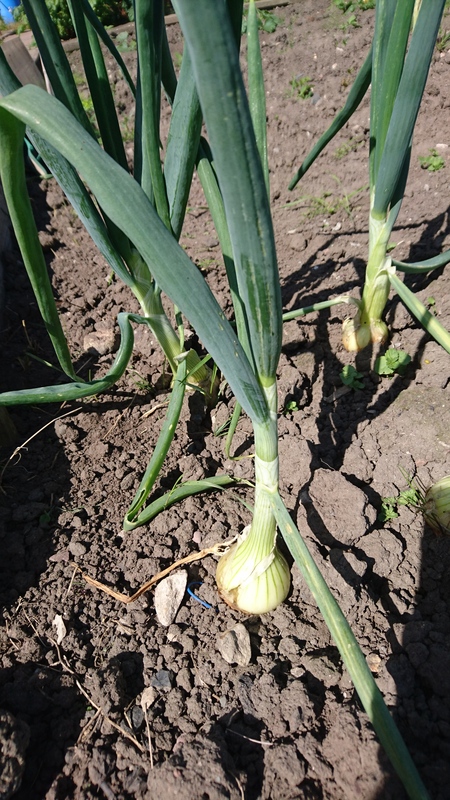 We went down fairly early, determined to make serious inroads into the weeds and to sort out the mite problem plaguing the coop. 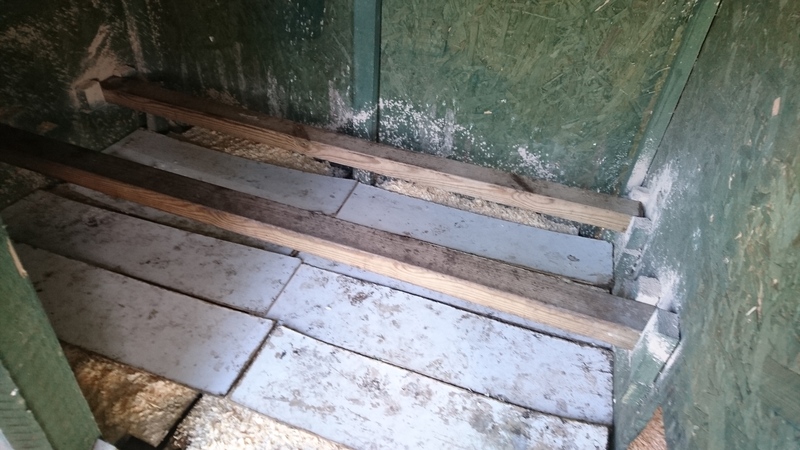 Whilst the hubby fed the chickens (a difficult task when they always get under your feet and try to climb into the food bins), I started to clear out all the old bedding from the nest box ready for the fumigation. I found a special fumigation product along with anti-mite concentrated solution and diatumous earth. Once the shavings and the panels were out, we stopped up the holes and lit the fumer. And ran. We spent a few extra minutes stopping up gaps to keep the smoke in and left it to do its work. We pottered up to the local chippy, grabbed lunch at home before heading back to the plot for some serious weeding. 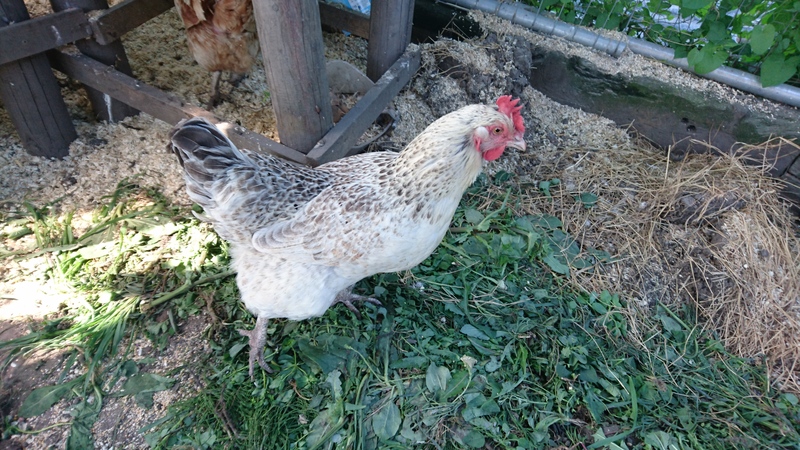 We spent quite a while weeding before the heat forced us into the shade of the coop. 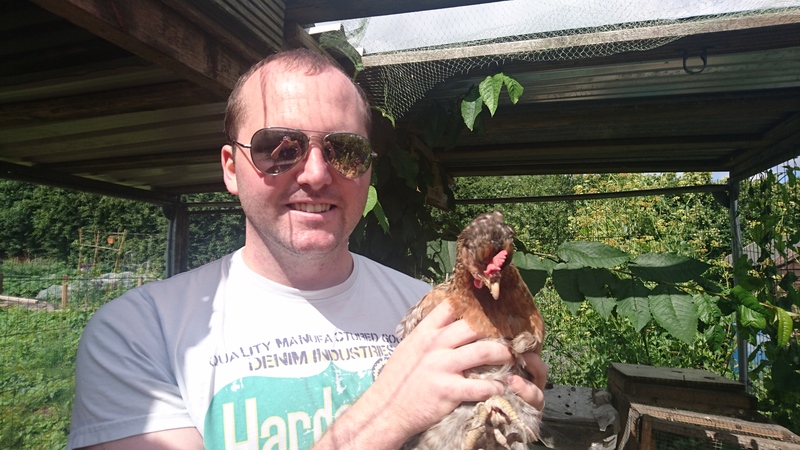 Just before we started back on the coop, we rounded up the chickens and dusted them. Dolly and Holly took extreme exception to being dusted and the indignant clicks could be heard for miles around! 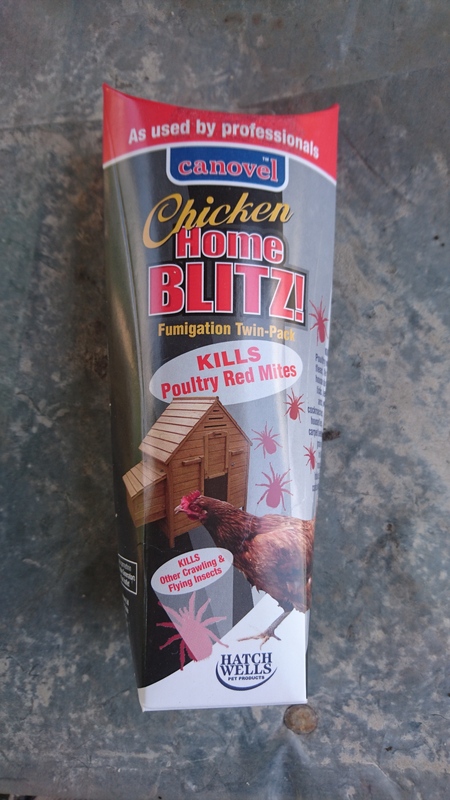 Next up for the coop was the anti-mite fluid which I scrubbed the panels and perches with in the hope it kills off everything that is left after the fumigation. 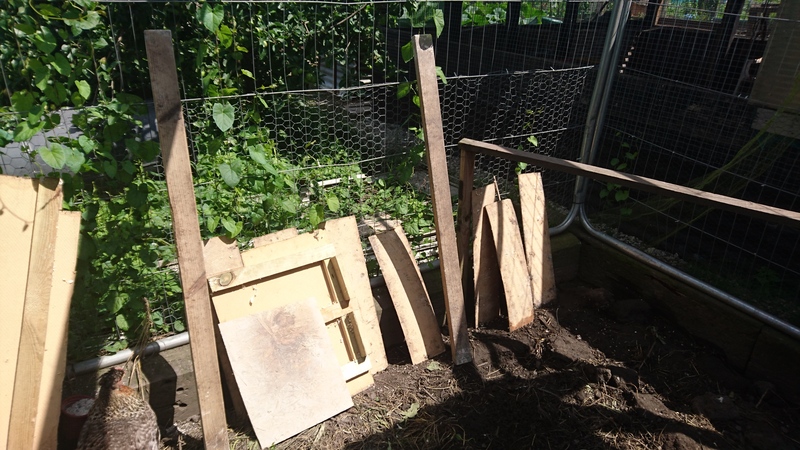 Panels and perches dried quickly in the sunshine before being put back into the nest box along with a hundred weight of diatumous earth mixed into the shavings. 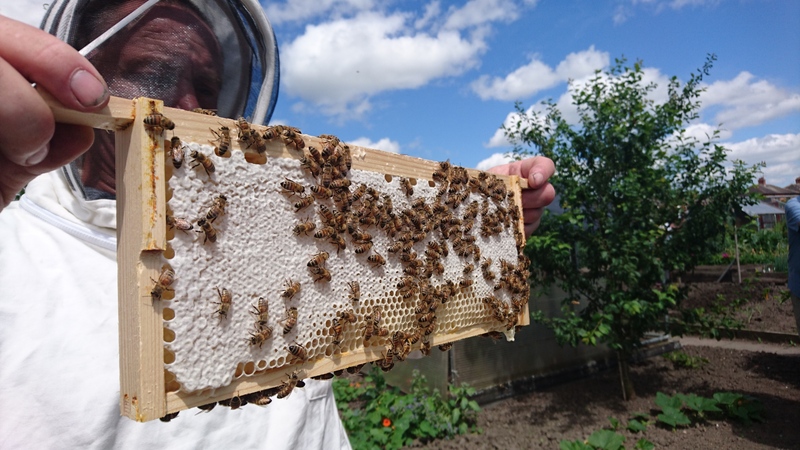 A short interlude to check the bees – I borrowed Phil’s suit especially as the second hive is a bit more temperamental. I think it suits me! 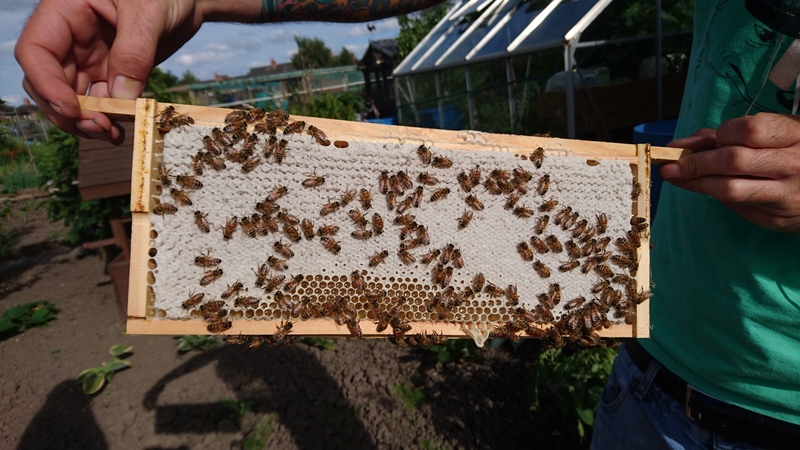 The first hive on Phil’s plot is doing well with a second super being put on mid-week to give them room to manoeuvre and build more honey stores. The second hive was a totally different kettle of fish! 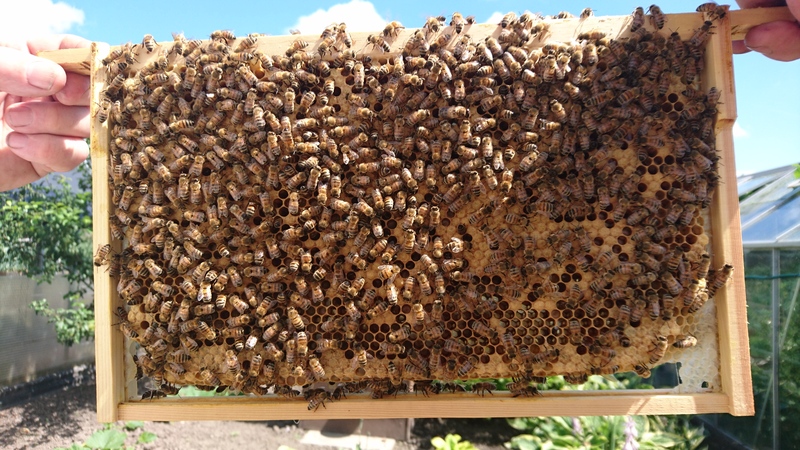 Very busy with thousands of bees but very few frames of eggs and no sign of the Queen. For the 4th week in a row. This is rather worrying. Steve called his Bee mentor who came across to have a look. While we waited for the Bee man to arrive, I finished re-contructing the nest box as Dolly and Polly were desperately trying to lay in the empty box. I finished and went to sit with Steve, Andrea and Darren for a bit while we waited and waited for the Bee man to arrive. Eventually he did. 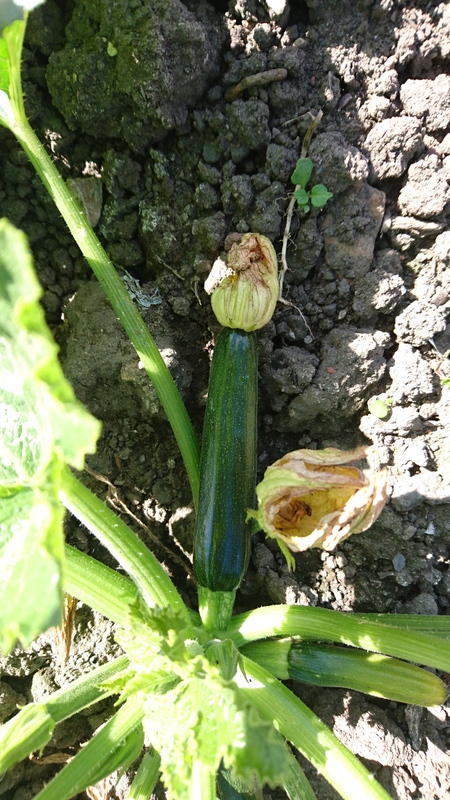 Two hours later than we expected after first going to the wrong allotment site! 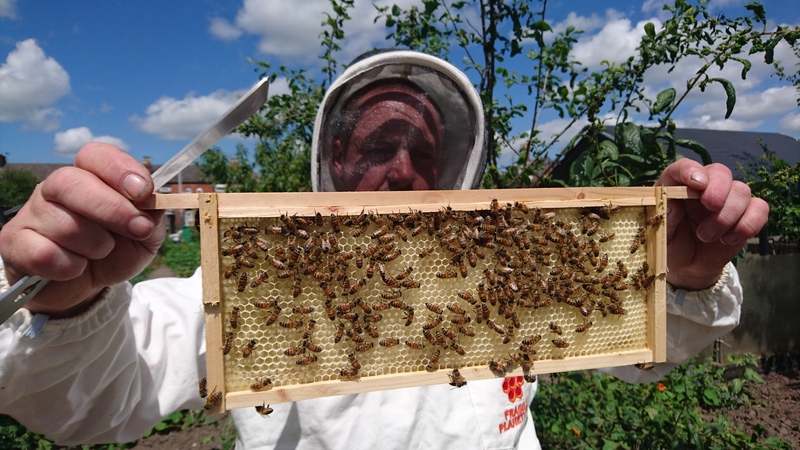 He arrived and had a good look at both hives. 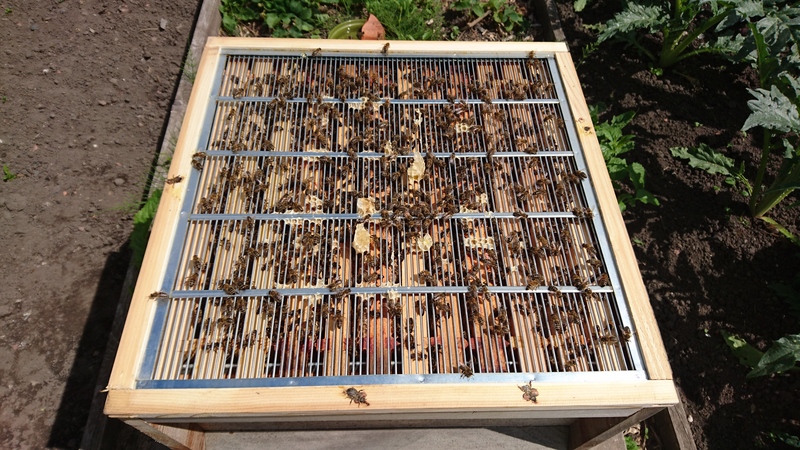 The difficult hive very urgently needs a new brood box so they have room to build the colony – an added bonus is they should be more relaxed and easier to manage. 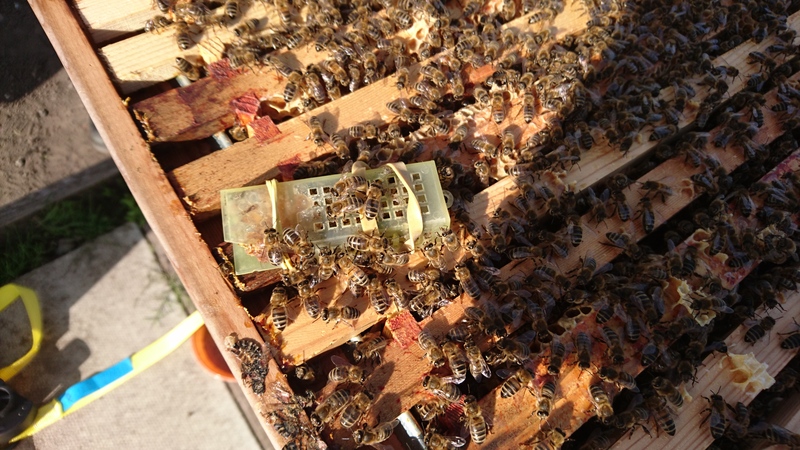 We found the Queen eventually and he tried out using a different Queen to see whether the colony had lost theirs. If they had then the bees would try to feed the new Queen and fan their wings at her. If not, they would try to kill her and rip her legs off. Lovely. He also showed us Queen cells and how they form. These need to be pinched out as we don’t want the bees to swarm and leave the hive. They look like an upside-down cup found at the edges of the comb, usually hanging downwards.